Commercial offices, hospitals and learning spaces. 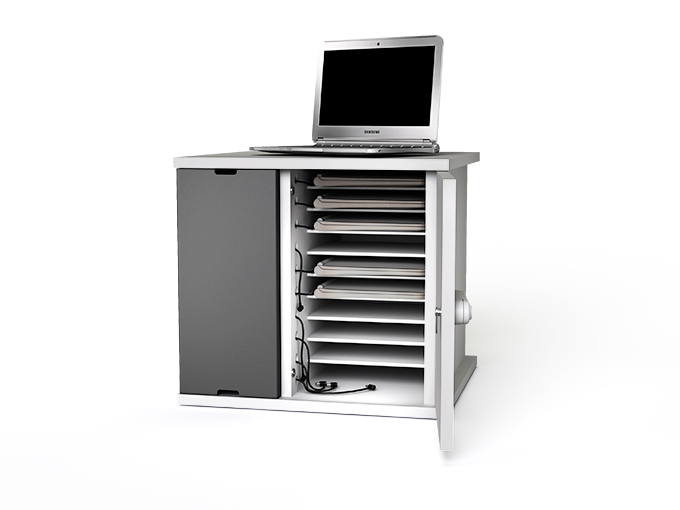 A compact, robust charging cabinet that can accommodate 10 chromebooks, ultrabooks and MacBooks upto 13.3″ screen sizes. 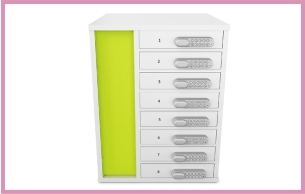 Separate storage compartment for power adapters and cables, with only a short length of cable presented to each shelf – so no cable mess and no adapters or cables going missing! 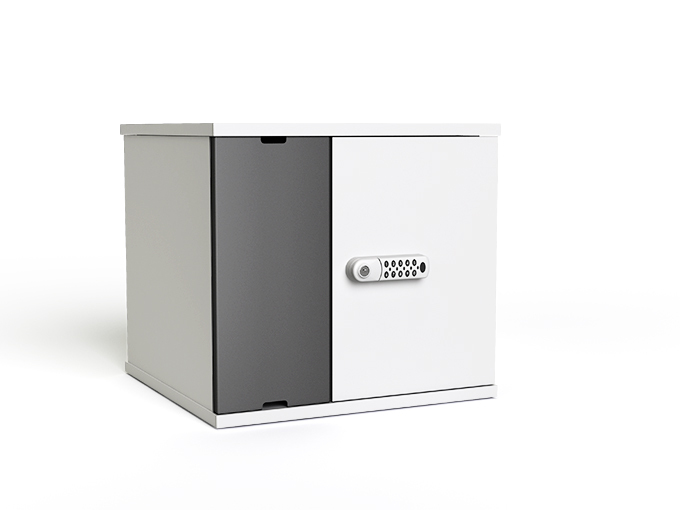 Available with or without a lockable door and with the option of a digital code, RFID or key lock. Digital code lock with master key override. Doors fold back 270 degrees for easy access. 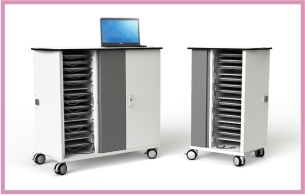 Suitable for all Chromebook brands including Samsung, Acer, Toshiba, Dell, HP and Asus. 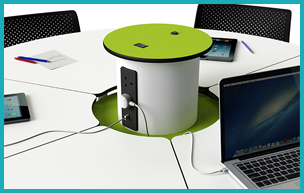 Ideal for sitting on top or within cupboard units or on desktop surfaces. For use in offices, hospitals and learning spaces.